This is one of my favorite images I took during the fall. 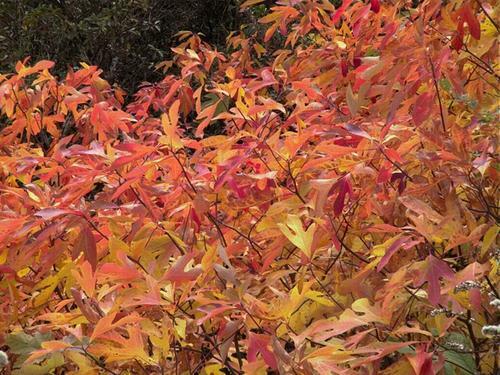 I was up on the Blue Ridge Parkway driving around and just came along clusters of color. This is going to be my first entry into my new photoblog. I've taken a deep interest into photography. I am using an old Kyocera digital camera. Nothing fancy. I think just 2.5 megapixels. I'm trying to learn with this one and hopefully get a better one by next year. Please...all comments are welcome. Help me get better!! This picture was taken at Connastee Falls, NC just outside the falls area. 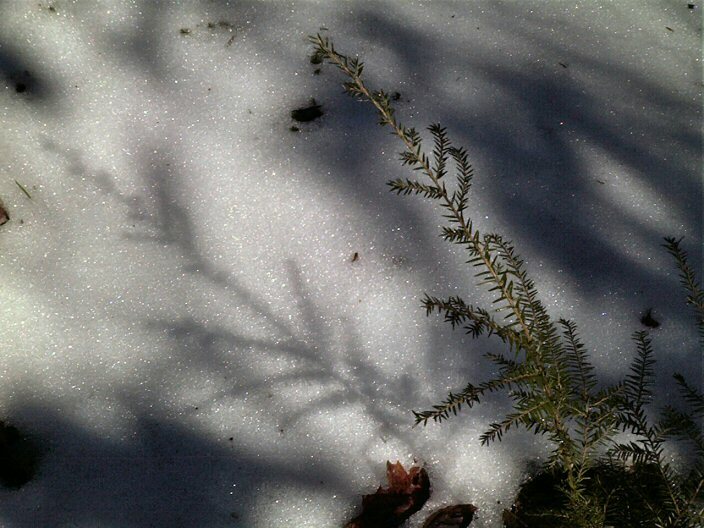 There was snow there back in the woods that had not melted yet and just a glint of sunshine catching a small pine. I just liked the shadow.